How to install Pixelmon 1.10.3! (Images are 1.6.4 but still works) -- Sorry! I have re-edited all of it to work in 2017! 1) First of all you need to go to the forge mod loader website and install The forge 1.10.2 (Latest Pixelmon as of current) installer (Click Here To Install It). Run minecraft 1.10.2 if you haven't already played that version of minecraft. Open it and click install client. 2) Now open minecraft and select the profile "forge" and click play. After minecraft loads you can exit it (Do this to load up the files). 3) If you are on mac, go onto finder and click "go" then "Go To Folder" and type ~/Library/ and click go. If you are on windows 7, click the start button and type "%appdata% and click enter, If on windows 8/8.1 search up "run" in the Applications area and then type "%appdata%" in run and hit enter and finally, if you are on windows 10, go to the search bar next to cortana and search up "run", click the Run application and again type in %appdata%. 4) Next download pixelmon (Click Here To Install). After that go to the folder you opened in step 3 and on mac click "Application Support" (skip this on windows). 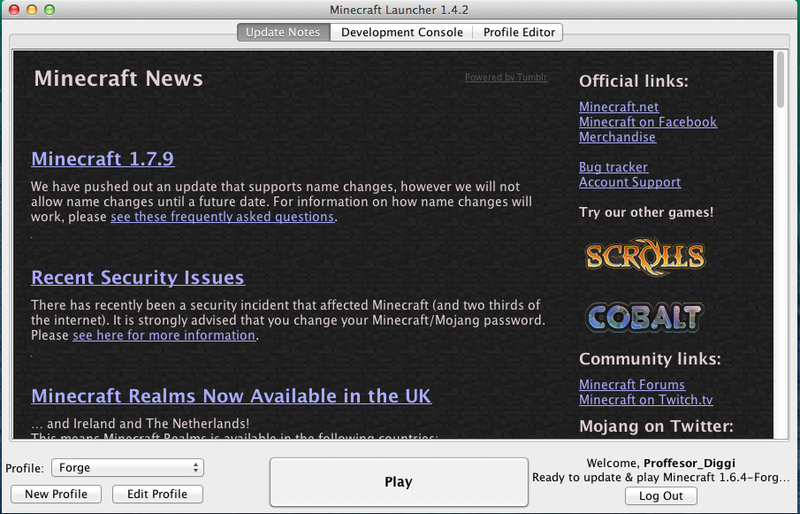 Then click "minecraft" on mac or ".minecraft" on windows. There should be a folder called "mods" open it and drag the pixelmon file in there. 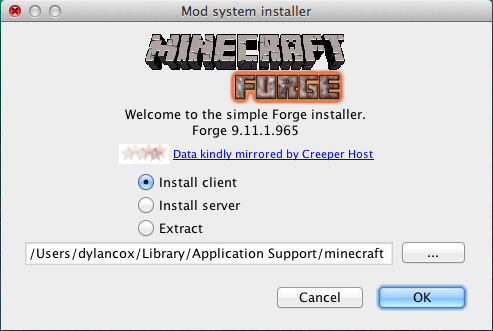 5) Click on minecraft and make sure you have selected the profile "forge" and click play. After this you have successfully gotten PIXELMON! everything worked but I get a message every time I try to open pixelmon saying that the java jar can't launch pixelmon. Did you read any part of the thread you posted on? You don't launch the Pixelmon jar file. Install an appropriate version of Forge and put it in the mods folder. Realistic Torches - Causes torches to burn out after a configurable amount of time. Nature's Compass - A utility item that allows you to search for any biome's location in the world. Notes - Provides a clientside in-game notepad. Souls - After you die, a hostile Soul that stores your inventory will spawn. Auto Refresh - Automatically refreshes your server list and alerts you when your selected server comes online. Pick Block Plus - A clientside mod that significantly improves the vanilla pick block function. And a few others that we don't talk about. Forgot to include, best mod ever! Hey i was reading this and it helped me but i cant open it ??? Can't open "it"? Can't open what? You've going to have to give us some more information than that. I can assure you that installing mods on ANY operating system is a very, VERY simple process... especially when you're following a guide like this one, which shows you every single thing you need to do. And you're still not elaborating on what "it" is. What about the process isn't working for you? Hi, I use a mac and I tried to the above but the link to download Pixelmon didn't work, it automatically showed back this site. I googled PIxelmon but only windows version was available. (PixelmonLauncher 1.1.55 exe) I downloaded it anyway but sure it didn't open as it was a Windows application. Ignoring this bit, I moved this file into MODS folder as guided, opened Minecraft on Forge but it didn't show any mods (all 0s, as we just started). Is there any Mac version available? Mine does the some thing. The downloads from the Pixelmon site are .exe files and not zips to extract or the final .jar file. Where can morejulien and the rest of use find the current jar file, since the "4) Next download pixelmon (Click Here To Install)" link doesn't work? That's the launcher, NOT the file itself. Download the actual mod (it will be a .jar file) from Pixelmon's official site and drop it in the mods folder.